Tracking the performance of a work schedule is the next step of preparing it. Generally project managers need performance reports for the actual works and four week look ahead schedule for the future works to be done. Four Week Look Ahead schedules are widely used in construction, oil gas and energy industry to report which activities will to be performed in the next four weeks. 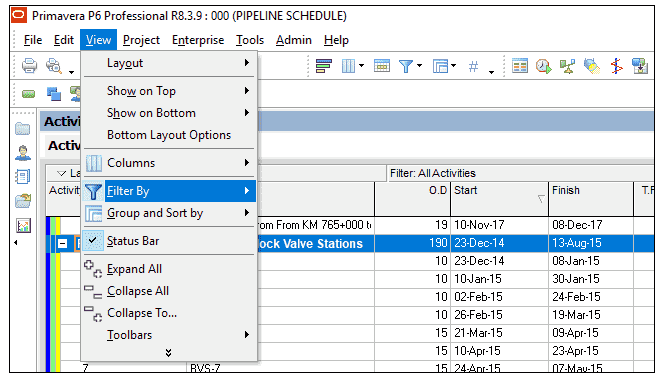 This article shows how to create a four week look ahead filter for your schedule in Primavera P6. For better understanding, let’s review a sample construction work schedule. Figure 1 below shows a sample project of building 14 Block Valve Stations. As shown in the Figure 1, Data Date (Blue Line) 04 Feb 2015 and there is no actual in the project. 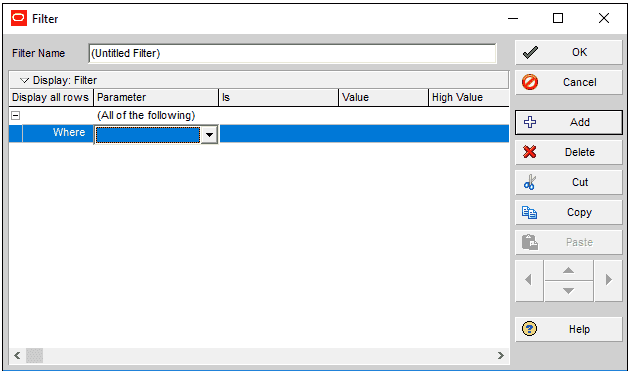 To create a filter Select View | Filter By from the main drop down menu, Figure 2. This brings up the filter window, Figure 3. Now we want to demonstrate all activities that start in the next four weeks, so the first line is “Start is within range of DD DD+4W” (DD is Data Date). We also want to demonstrate the activities which started before the data date and in progress. 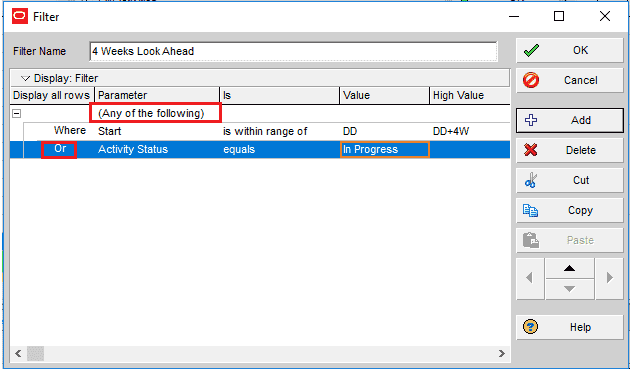 Therefore the second line will be “Activity Status equals In Progress” as shown in the Figure 5. If the parameter is “ Any of the following”, this puts an ‘Or’ between the first and second line of the code. If the parameter is “All of the following” , this puts an ‘And’ between the first and second line of the code. The ‘And’ means that both the first line of code and second line of code must be true in order for that activity to be displayed. As shown in the Figure 6, BVS -4 will start in the next four weeks and BVS-3 is in progress. 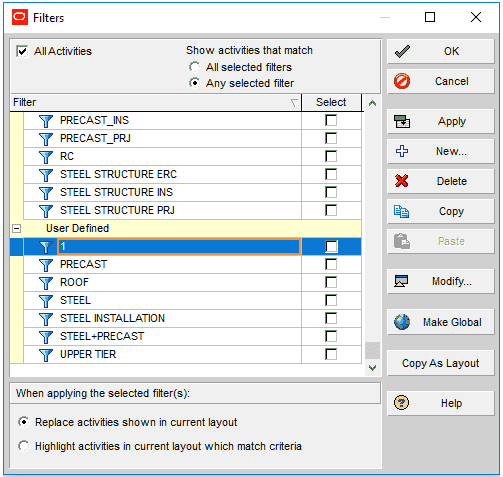 Primavera P6 filter is a pratical tool for the schedulers. It enables to make all kinds of filters for reporting and scheduling purposes. It is important to know the functions of “All of the following” and “Any of the following” parameters while creating a four week lookahead schedule. Another key point is to understand the function of a lookahead schedule. Typically the purpose of a look ahead schedule is to plan activities and goals for the next weeks. In this article we discussed the four week look a head schedule in Primavera P6. If you want to add or share anything related with this tool, you can use the comments box in below.